A high-level probe has been demanded in the perpetual tripping of the 500-megawatt (Mw) Anpara D thermal power project in Sonebhadra district of Uttar Pradesh. The unit, projected to augment availability of electricity in the state, has not yet supplied power to the state grid. The Uttar Pradesh Rajya Vidyut Upbhokta Parishad (UPRVUP) on Friday submitted a public interest memorandum to the Uttar Pradesh Electricity Regulatory Commission Chairman Desh Deepak Verma seeking a probe. The plant, which costs about Rs 7,000 crore, was inaugurated by Chief Minister Akhilesh Yadav on March 31. UPRVUP Chairman Avdhesh Verma urged the UPERC to write to the Union power ministry and Bharat Heavy Electricals Limited (BHEL) for a high-level probe. BHEL had constructed the plant. Besides, he is also planning to write to CM Akhilesh Yadav, urging him to recommend to the Centre a Central Bureau of Investigation probe in the matter to "unearth the truth" as to why the unit has not been able to function yet. Earlier this month, a fresh attempt to fire up the unit also failed. The serious of failures over the last over four months has put up a big question mark on the quality of machine and turbines. The Anpara D project belongs to the Uttar Pradesh Rajya Vidyut Utpadan Nigam. Another 500-Mw unit of the project is also getting ready. The project had been developed at an ash pond site, which was used to dump fly ash generated from the burning of coal by Anapara A and B thermal power projects. Thus, Anapara D project did not involve fresh acquisition of land. This project was first sanctioned in January 2008 during the previous Mayawati regime. 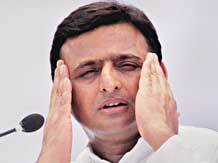 However, it gained pace only during the incumbent Akhilesh government.